Dr. Ilana Gelfond-Polnariev is an author! 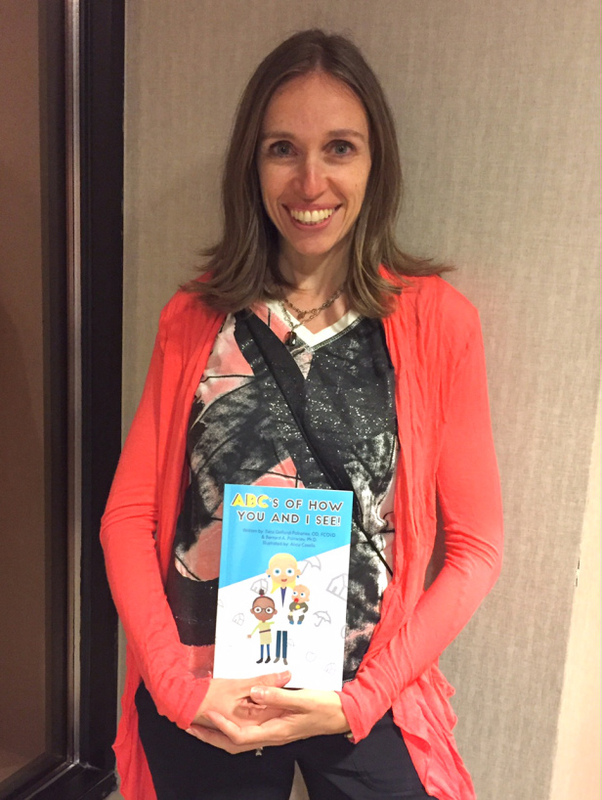 She and her husband, Bernard Polnariev PhD, just published a children’s book: The ABCs of How You and I See. Dr. Gelfond hopes this book will bring awareness to parents of the link between vision and learning by finding its way into doctors’ waiting rooms where parents can read it to or with their children. Dr. Gelfond is a very busy doctor! She is a member of COVD’s International Examination and Certification Board (IECB), the Board of InfantSEE and is treasurer of Beta Sigma Kappa (the optometric honor society). Oh, and after 15 years in a multi-doctor practice, Dr. Gelfond is in the process of opening her own practice on Staten Island in NYC. Finding herself with a few minutes to spare while in Jacksonville, Dr. Gelfond decided to do some body sculpting activities. Her abs are still sore during her visit to the Annual Meeting Hospitality Suite. Maybe the vodka and cranberry juice will ease the pain! Congrats on the new book & new practice — a new great chapter indeed!